I’m a week late to World Down Syndrome Day. No excuses. Regardless, what this week’s guest, Krista Rowland-Collins, is doing is still important and relevant. 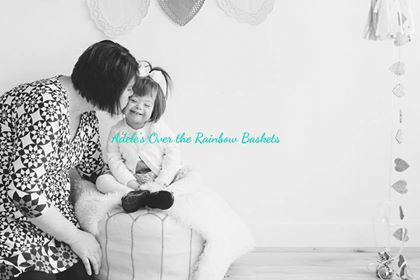 She is loving on families as they welcome their children with Down Syndrome into the world through a project called Adele’s Over the Rainbow Baskets. Honestly, the misconceptions that Krista fights against every day kind of blew me away. She talks about how many practitioners still encourage termination of pregnancies where a Down Syndrome diagnosis is involved. Krista is articulate and passionate, and I think you’ll love her perspective. During our conversation, Krista mentions reading Kelle Hamptom’s blog post about the birth of her daughter. Here’s Kelle’s story or you can get to her blog by clicking here. Here are the places where you can connect with Krista. Adele’s Over the Rainbow Baskets on Facebook and Instagram. Posted in Podcast and tagged down syndrome.